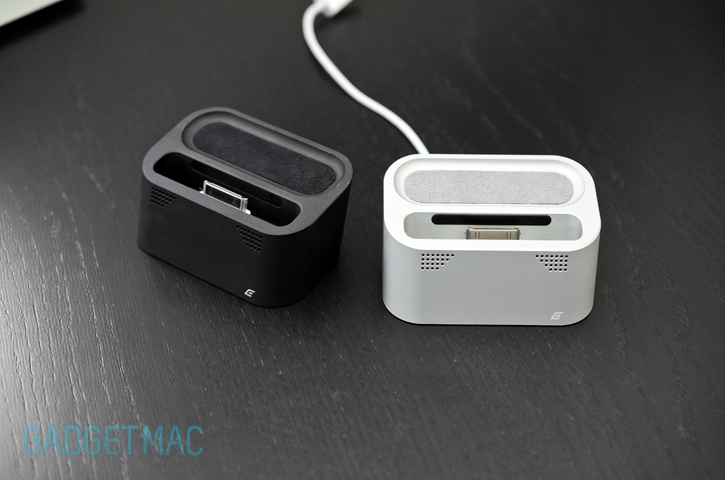 After nearly two month's since ElementCase introduced its first ever dock for the iPhone and iPod at CES 2012, the Vapor Dock, formally refereed to as the Vapor Base, is finally ready to empty your wallet at $120. This rather handsome looking dock is CNC machined from American made aluminum and then finished off using ElementCase's special new FLUX process for a satin coating that's silky smooth to the touch. The Vapor Dock fits most cased iPhones and iPods and features speaker holes with air chambers for enhanced audio, built-in Dock Connector charging cable, hidden bottom cable management, non-skin rubber feet and an UltraSuede covered back compartment. The Vapor Dock is available now and comes in black and silver. Thanks for the tip, Derrick!